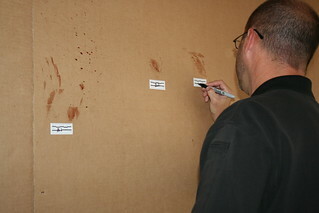 Crime scene technicians investigate crimes by analyzing details at the scene, collecting evidence, evaluating data, and presenting their findings. The job requires meticulous attention to detail, and over the last few decades, fingerprint identifications made by law enforcement officers have come under the scrutiny of courts, juries and the public. The proliferation of misinformation through popular media only complicates the forensic disciplines. Forensic evidence collected at the scene of a crime must be able to withstand tough legal challenges, such as those presented as a result of Daubert v. Merrell Dow Pharmaceuticals, Inc., 46 F.3d 1311 (9th Cir. 1995). To better prepare law enforcement officers to meet these challenges, GPSTC offers the Crime Scene Technician Certification training program. This program thoroughly prepares students to successfully collect, analyze and present evidence that stands up in court. Completion of the Crime Scene Technician program leads to certification as a crime scene technician through the Georgia Peace Officer Standards and Training Council. Students who have completed all courses must also complete a 40-hour internship with a certified Crime Scene (or ID) technician.